Eurogroup President Jeroen Dijsselbloem said that it is very unlikely that Greece’s bailout program review will be completed in April, while noting that the European Stability Mechanism should assume the role of the International Monetary Fund in European economic matters. 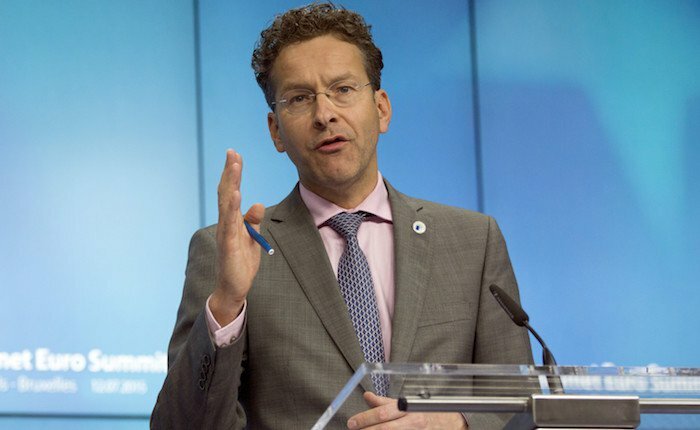 According to Dijsselbloem, the ESM must take the place of the IMF, noting that the current structure of the “troika,” the IMF, the European Central Bank and the European Commission must be terminated. “I think it would be very useful if the ESM was a European IMF. It should acquire a clear leading role in future projects,” Dijsselbloem said. “The ECB sees their role in the troika as increasingly uncomfortable, and I think they are right,” the Eurogroup head clarified, noting also that the European Commission has other “important tasks” to which they should focus. The ESM should “acquire the technical expertise available that today only the IMF has,” he said. Regarding the current Greek bailout program, Dijsselbloem said that the existing distribution of tasks should be maintained. He expressed the belief that the IMF will eventually decide to participate in the program. It would be “very welcome,” although this will not happen before the summer, he said. He also argued that a quick completion of the ongoing second evaluation by the creditors is rather difficult. Indeed, he added that he does not think the institutions will complete the review before the Eurogroup meeting in Malta on April 7.